Today was a town day, so I woke up excited and got going by 6:15am. 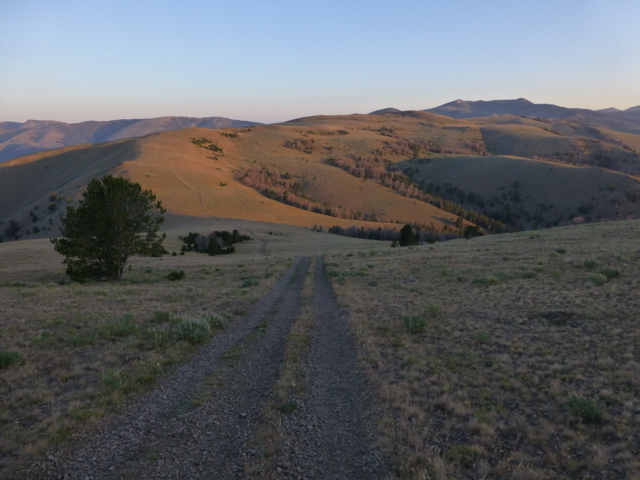 The sunrise was nice and I continued on the rolling dirt road walk along the Divide. 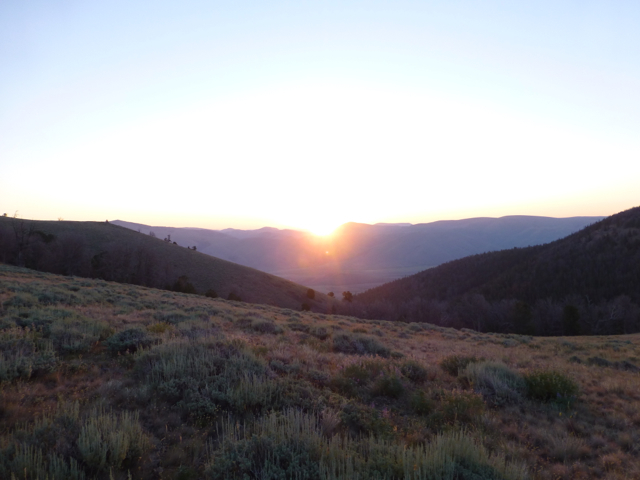 By 7:30am, I caught up to the group of Bloodbath, Rampage, Sweet As, Dain, and Aquaman who hiked a bit further last night and woke up a bit later. 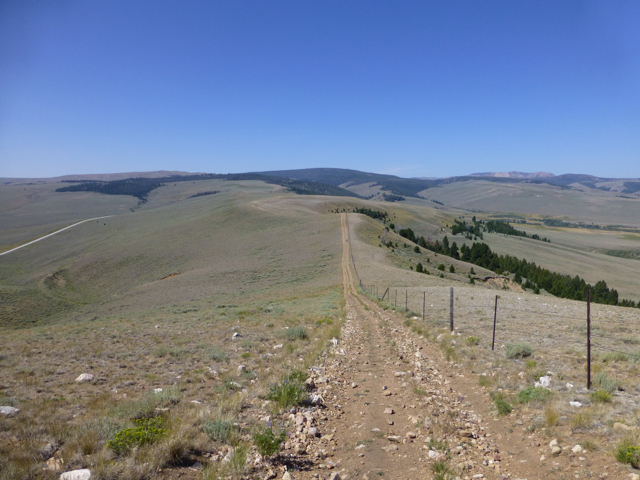 We knew the hitch into Leadore was one of the most difficult on trail as it’s on a remote gravel road 15mi from town that few cars seem to drive. Plus, with six of us, chances were that we’d need multiple cars. When we got to a high point, Aquaman stopped to call about a pricey shuttle that might be able to pick us up. I got service, but the number I had from the maps and guidebook was incorrect. I kept hiking and figured the speedsters would soon catch up. Since I had service, I was able to call my twin sister who was due to have her baby today. I haven’t been able to make a phone call in three days and I got the call through to find out that the baby was born two days ago! All are healthy and baby Aidan and my sister returned home today. I got to Skype with them and even got to see his big brother Lucas touch him for the first time. 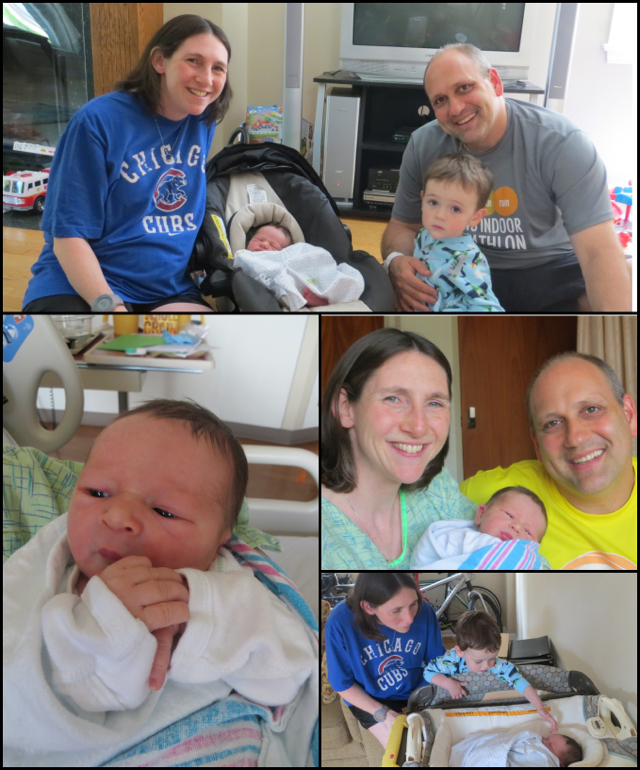 Here is my proud aunt photo collage of baby Aidan! Back to the trail. I hiked most of the morning with Bloodbath and Rampage as we tried to get to the pass quickly and hope for a hitch. Along the way, we saw Gnar and Pod who had family coming to pick them up later in the day. When we got down there, it was obvious that it may be awhile and none of our phones had service. The rest of the crew made it down and Aquaman arrived with the good news that he had called a motel in town and asked them if they could bring a van to pick us up and they agreed! While we waited, a southbounder named Kelly arrived who is hiking with her dog. After less than an hour of waiting, the van arrived and managed to fit all 7 of us hikers, our packs, and a dog, yay! Here is everyone waiting at the pass. Like many of these small towns along the CDT, there is hardly anything here. 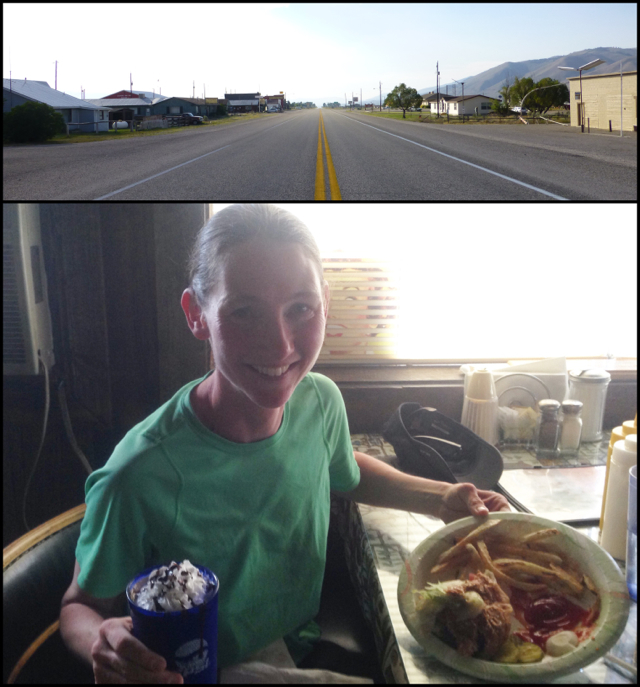 I just had to take a picture of the main road and I also got a burger and milkshake at the lone restaurant in town. 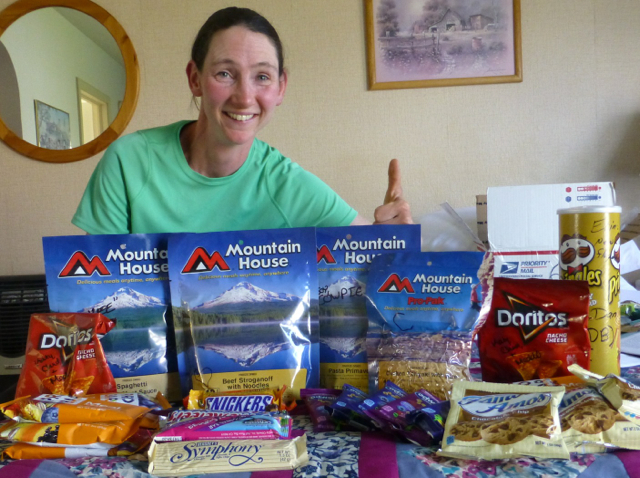 They had been bought out of most the regular hiker food, so we had to be creative. I have been having tortillas with tuna or salmon for lunch and instead had to go with cooking Ramen for lunch this leg. I always have a box sent to me, but I tend to buy my lunches for each leg in town. My resupply was filled with awesome care packages! It’s the best one yet! I need to thank Cowpie, Corinna, Heart, Yankee, Dan, Katy, Chad, Edie, George, and David. My stomach has been a bottomless pit lately, so this is probably the most food and the most quality food I’ve taken on a leg thus far. THANK YOU to all of you for such support! There are a lot of hikers in town. In addition to us seven that came in the van, there is also Cherry Picker and two couples, Stopwatch & Optimist and Rob Steady & Why Wait. Other than two other guys way up front(Mtn Rat & Ross), we are actually the first northbound crew doing a true continuous thru to make it up to Leadore. That’s pretty cool. Tomorrow, I plan to leave at a relaxed time by noon with Rampage and Bloodbath. I’m in a room of my own since the couples all took advantage of the affordable deals on their own rooms. I’m pretty stoked to have my own room too and hoping to sleep in a bit tomorrow and watch some Hulu. I finished all my town chores today and am almost caught up on my emailing. I am going to sleep well tonight.